Yet I still feel awkward to call myself a “food blogger”, which I had to at times when I do accept an invite to a food-related event. Is that a hobby, or a job, or what? If I had to define myself over my hobby or what I do or like to do, I would not be a food blogger. I’d say I am a runner. I guess I’d prefer a chat with a fellow runner after a race, never ending discussions about training methods, paces and heart rate training zones. If I had to choose between a food-related event and a race, I’d surely be found at the race. Above all that, I LOVE running. It keeps me sane, happy, fit. I love the social side of running in clubs, I love my competitive edge coming out in races. The role of food in my life is more to be seen as “eat to live”, rather than “live to eat”. It goes without saying, I like good-tasting food, flavors and textures. But before all this, it has to be nutritious. Food must give me energy and must make me feel good and healthy. But then, I am not a nutritionist. My nutritional knowledge is not nearly sufficient enough to tell people, what’s good for them and what’s not. In the end of the day, food tolerances and intolerances are individual. What works for one, might make someone else sick. It’s probably no secret that I am nuts about nuts in my diet. 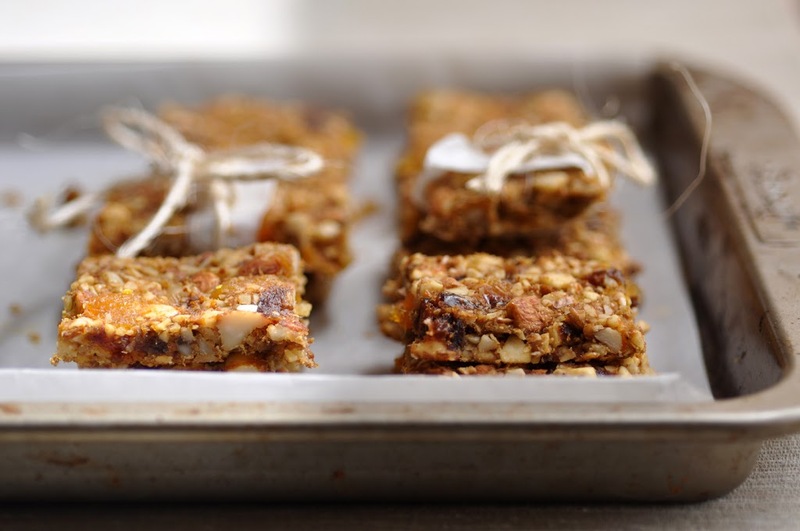 These Coffee Orange Nut Bars are my latest to-go snack that I have been making over and over again. I love them as mid-morning and mid-afternoon snack, before or after a run, or even as a little sweet something after dinner. Full of flavor and crunch and deeply satisfying when hunger strikes.